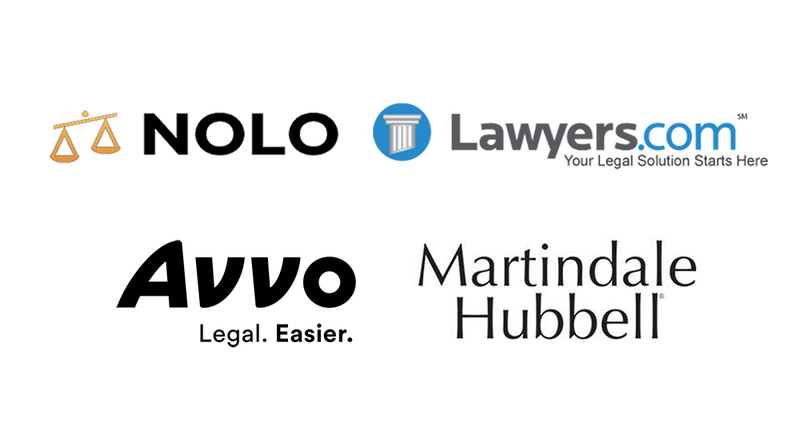 Internet Brands' network of legal directories—includes Martindale.com, Lawyers.com, Nolo.com, the recently purchased Avvo.com, and more—is home to some of the best attorney directory sites. These sites have a huge online footprint, according to Martindale, their profiles could be seen by as many as 23 million people each month. If you’ve been taking our advice, attorney directories probably already play some key roles in your overall digital marketing strategy. However, if you haven’t yet dipped your toes into attorney directories, or if you just think your profiles need more pizazz, here are our best tips for how to make the best use of your legal directory subscriptions. When your law firm is listed on major directory sites, you want that profile to be the best it can be. Don’t just fill out a few fields and call it done. Each of your profiles should be well written, consistent with your brand, and include little extras that make you stand out. Make sure you choose the right categories and practice areas for your law firm and make the most of the options you are given for each profile. Remember that your profiles are your main listing on each of these directory sites, and some profiles are shared or pulled to your other listings in the legal directory network. Need help keeping all your attorney listings in order? Learn more about the local listing tools in DSS. Attorney ratings are what Martindale is all about. Martindale-Hubbell is well known for its attorney Peer Review Ratings (AV Preeminent, Distinguished, and Notable), and Avvo’s zero-to-ten rating scale is similarly recognized. You just have to submit the appropriate information and references, and they take care of the rest. The great part is that ratings from Martindale not only show on your profile but also typically appear as ratings stars next to your law firm’s entry in Google search results. Martindale has also added the option to add client reviews to your profile without an additional charge. When you direct clients to review your firm through your Martindale listing, they are given a survey with the option to also leave written feedback. You can even choose whether or not to display your client reviews on your profile. Beyond your profiles, several of these directory sites also give you the opportunity to answer legal questions and share relevant content. This is really worth doing and gives you the chance to reach new audiences of potential clients that need your expertise. For example, you can participate in Lawyers.com’s Ask a Lawyer forum, which attracts thousands of visitors each month who have legal questions. Answering questions in the forum not only connects you directly with potential clients at a key “micro-moment” in their customer journey, it is also searchable by people who have similar questions in the future. You can link your responses back to your website, and responses on the forum will also appear on your Lawyers.com profile. It is also worth mentioning that Nolo profiles, in particular, offer unlimited article publishing, which can be a powerful thing to leverage if you are already regularly producing stellar content for your own site. Depending on how involved you are with your profiles, and how well those profiles are working for your law firm, you may want to dig a little deeper into your customization options. There are a few ways to upgrade your subscription and benefits on these lawyer directory sites at an additional cost. Depending on what you choose, you can get access to things like featured rankings, removing other attorneys’ ads from your profile pages, and other options that can increase your visibility. Some of these options are not going to be worth it for every law firm but can be worth considering how an upgrade might impact your overall strategy for leads and backlinks. Do you need help making the most of your attorney profiles online? Do you have questions about attracting more authoritative backlinks and reaching a wider audience? Give us a call at 888.886.0939—and keep an eye out for more information about a discounted rate with Martindale that we'll be able to provide clients soon!